Stephens posted the updates to Facebook while he was driving around Cleveland, apparently searching for victims. In the clips, Stephens said that he “snapped,” and claimed to have killed multiple victims. In one update, seemingly posted before he shot 74-year-old Robert Goodwin Sr., he wrote that he killed 13 people and was “working on 14.” In another, he claimed he had killed 15 people and that several bodies would be found in an abandoned house. Police have so far confirmed that Stephens had killed one victim in a residential area on East 93rd Street, and that he has not yet been apprehended. Facebook statement on Cleveland shooting video: "This is a horrific crime and we do not allow this kind of content"
It’s not clear whether Facebook acted on its own to remove the posts, or reacted to requests from local law enforcement officials to take them down. The company has come under fire for its Facebook moderation policies in the past, both for lax standards that allow almost anythingto be broadcast on Facebook Live, and for its heavy-handedness in taking down streams thatmay provide evidence of questionable police tactics or brutality. A particularly contentious example of the latter came last year, when Facebook and Instagramgranted an emergency request from the Baltimore Police Department to suspend the accounts of 23-year-old Korryn Gaines. Gaines was in a standoff with police at the time, and had been posting live videos of her experience, taken while barricaded inside her home with her 5-year-old son. She was shot and killed by police a short time after her accounts were deleted from the social media services. Goodwin Sr., who appears to have been chosen at random by Stephens during his stream (and has been reported as both 74 and 78 years old), was described as a man who would “give you the shirt off his back” by family members. Police say that Stephens is driving a white vehicle, should be considered armed and dangerous, and warn that if seen, he should not be approached. 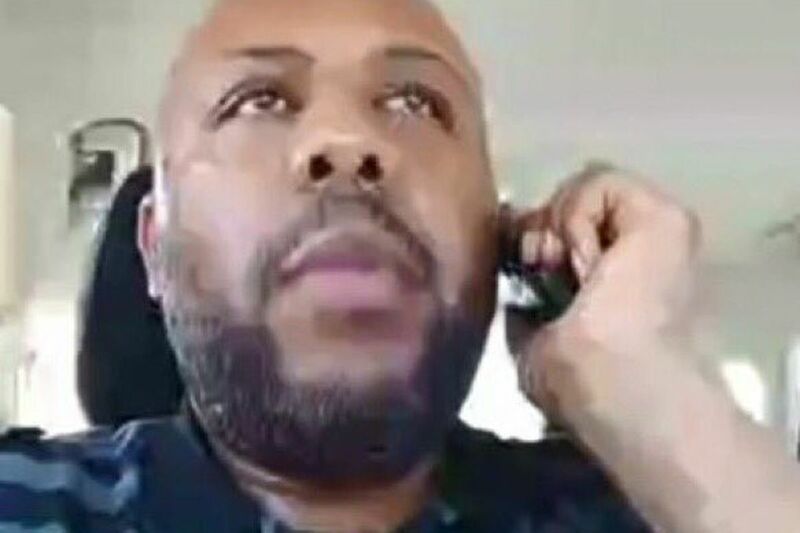 Update April 17th, 1AM ET: Confirmed that Stephens did not broadcast the shooting itself on Facebook Live, but uploaded a video of the murder shortly after the act was committed. He then started streaming on Facebook Live some time later, apparently from his car. 0 Response to " Cleveland manhunt underway after video of murder uploaded to Facebook"